Where Does Peace Come From? Even John The Baptist Doubted! What Do I REALLY Believe About God? Jesus Text Me is a free service that sends you 3 daily messages from Jesus via text, email or app. The messages are in every day language, and you can click through to read the 10 verses associated with the message. You can also add a Celebrate Recovery 12 Step reminder every morning. In addition, you can create your own private messages to send yourself special scriptures, reminders of "aha" moments or to remember to journal and pray - all to help you be transformed by the renewing of your mind. The CRAZIFIED to GLORIFIED! 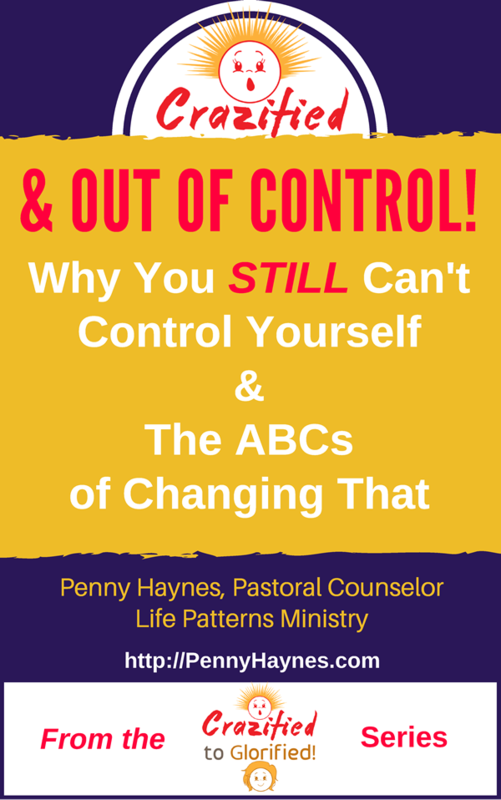 Series Access this series of ebooks designed to eliminate the sources of overwhelming stress in your life so you can break free from destructive desires and habits. Get the 1st book in the series when you join this membership site for FREE.